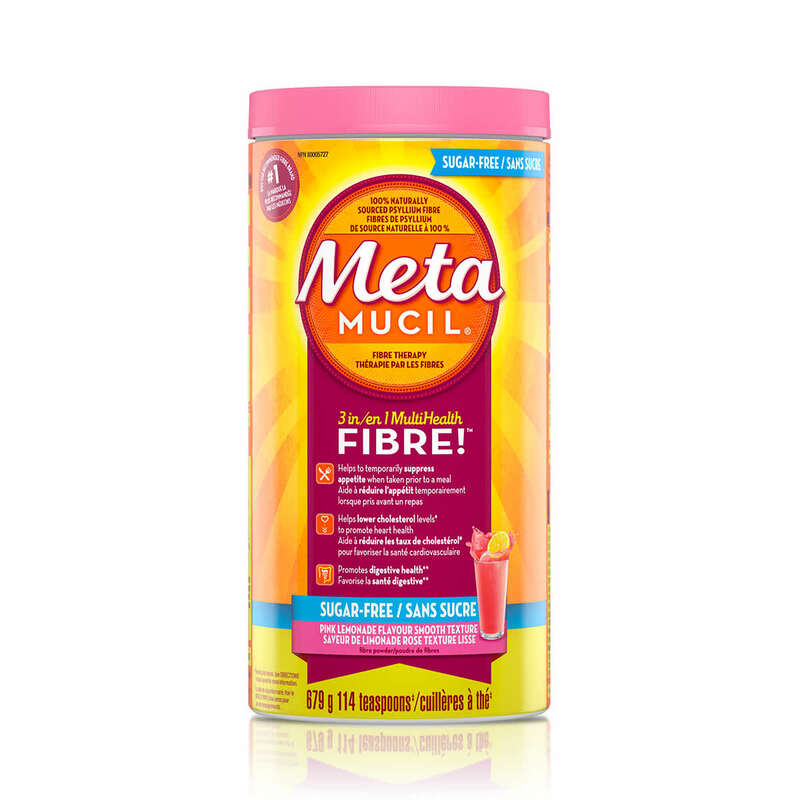 Metamucil Pink Lemonade Sugar Free Smooth Powder is a great way to add fibre to your day and is the only leading fibre supplement brand containing psyllium fibre for multi-health benefits. FAILURE TO DEFECATE FOLLOWING THE USE OF ANOTHER LAXATIVE. IF CONSTIPATION PERSISTS FOR MORE THAN SEVEN DAYS, SYMPTOMS WORSEN, OR RECTAL BLEEDING OCCURS, STOP USE AND CONSULT YOUR DOCTOR. THESE MAY BE SIGNS OF A SERIOUS CONDITION. 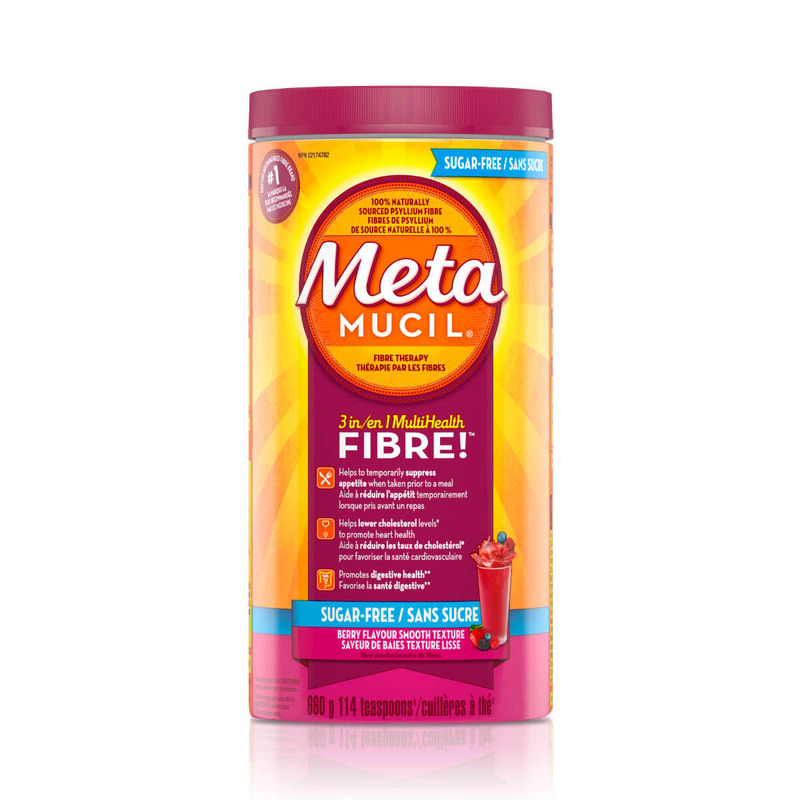 METAMUCIL MAY CAUSE AN ALLERGIC REACTION IN PEOPLE SENSITIVE TO INHALED OR INGESTED PSYLLIUM; IN WHICH CASE, DISCONTINUE USE. MAY CAUSE TEMPORARY GAS AND/OR BLOATING. DO NOT TAKE THIS PRODUCT WITHIN 2 HOURS OF TAKING ANY OTHER MEDICINE. DO NOT USE IF YOU HAVE DIABETES MELLITUS IN WHICH BLOOD SUGAR IS DIFFICULT TO REGULATE. CONSULT A HEALTH CARE PRACTITIONER PRIOR TO USE IF YOU ARE TAKING MEDICATIONS WHICH INHIBIT PERISTALTIC MOVEMENT (E.G. OPOIDS, LOPERAMIDE).